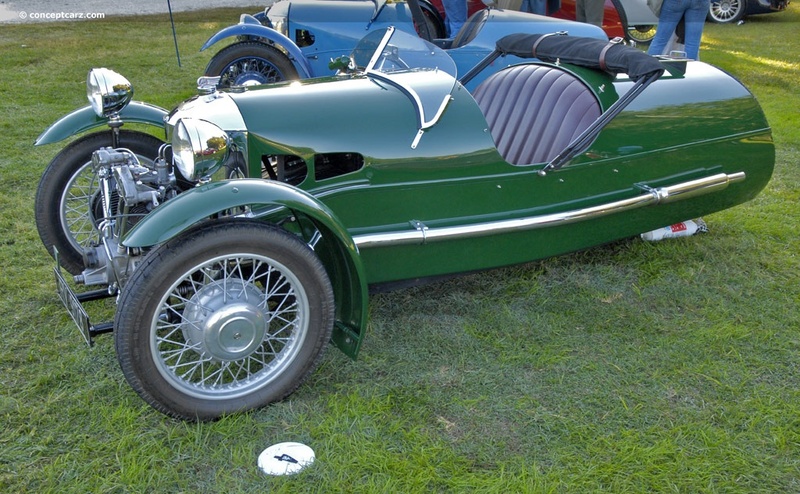 Built to take advantage of the tax laws, the Morgan is cheaper to register and license than a car, as it is considered a motorcycle by HMG. The John Alfred Prestwich (JAP) twin cylinder motorcycle engine is is also used by the Brough Superior motorcycles, as is the chain-drive to the rear wheel. It is a three speed plus reverse gearbox, the body is wood-framed with a light steel sheeting that brings the car in at 850 lbs. The lightweight allowed the JAP motor to push a Super Sports to 115.6mph in 1930, whilst driven by Mrs. Gwenda Stewert of France.